The team at Excite Media can often be found out in the back break room playing darts …. so we thought to ourselves, why not play for a purpose! 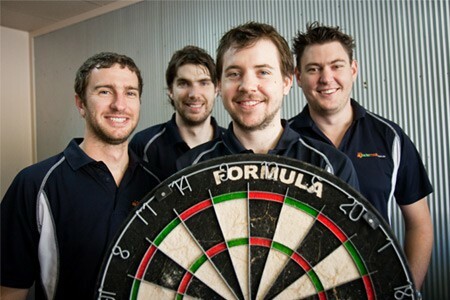 It was for this reason that we decided to take on the world record for the longest ever four person darts marathon. The event was held on the weekend of the 22nd and 23rd of May 2010, and the team decided to make a big event of it – and so the Darts Charity Challenge was born. The rules for the world record attempt were as follows: Two teams of two must play against each other in official games of darts, with only a 5 minute toilet break permitted per hour.